All previous albums by this band I reckon to be top of the year. 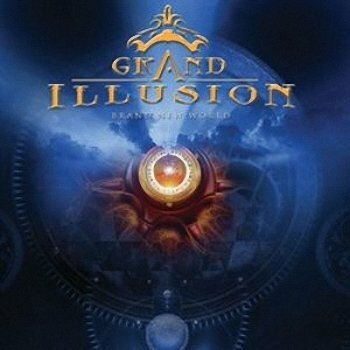 Resulting in an unconditional love for Grand Illusion´s output. So I was heavily disappointed when I found out they where going on hiatus. But after a few years the guys got it going again, so the wait is over. One question remains, and that is how this will fare when compared to all the highlights in their catalogue. If you, like me, like this band, rest assured and visit your favourite record dealer without further hesitation. This new batch of songs is easily on par with the rest of them! I guess that´s all there is to say, get on your feet and buy the damn thing. Okay, this leaves us with just a few non believers I reckon. Let me see how I can convince you of this bands quality. How does catchy songs sound? Who still manage to avoid all too obvious routines? And jaw dropping guitar solo´s from people like the mighty Mike Slamer? Top notch vocal delivery and massive vocal harmonies? Songs with light and shade and sometimes plain funny lyrics? And whatever the style, ballad, mid tempo or furious rockers, the feel is always right and spot on? Than take it from me, in the genre it hardly gets any better than this. Welcome back!